Whether it is for your French property, your car, you or your family, insurance cover will be on your ‘To Do’ list when purchasing a property in France. As with Banking there are differences in the way insurance works in France compared to the UK. Read on to be ready for the day when you decide how and when you will protect yourself and what is yours. Thinking of buying a property in France? Holiday home/secondary residence, rental investment or a permanent move? Whichever category you fall into Home and Contents insurance will probably be high on your list of requirements, if not your priority n° 1. Home and Contents cover comes in various packages. Extra options are available to cover amongst other items, jewellery, valuable belongings, swimming pools, that little garden that belongs to you down the road or your garden equipment. Public Liability insurance is an obligation when insuring your French property and is always included in your Home and Contents cover. Public liability on a secondary residence will usually cover damage caused by the property to a third party. For example a plant pot falls from your upstairs windowsill and falls onto the head of a passer-by causing injury. The Home and contents insurance can range from ‘Wear and Tear’ to ‘New for Old’ - you choose. Unlike the insurance policies you may already be used to, contents cover forms an integral part of a house insurance contract; it cannot be removed from a policy and is not sold separately. If you are purchasing a property to rent out for short term holiday lets your Public Liability cover would normally continue under the condition that the tenants at the property do not stay longer than 3 consecutive months. In the event of a long term let the property will need to be insured by you ‘the landlord’ to cover the buildings and your Public liability and on a separate contract by your tenants, for their contents and Public liability. For those of you that may be making a permanent move to France you will need a complete Home and Contents cover will full Public liability included. Think about all the extra cover you may need if your home has been previously used just for holidays. Maybe you need to increase contents cover, insure precious items, jewellery or some artwork on your walls. You may now have invested in a ride-on lawnmower or are building a pool. Are you extending or renovating the property, adding extra rooms? Don’t forget to mention all this when changing or putting a new policy into place with your insurer. And remember there is no Accidental Damage cover included in French Home and Contents cover. If you spill a glass of wine over your new carpet you cannot make a claim! If your main residence is in France and you have a vehicle such as a car, small van (private use only) or motorbike, insurance is obligatory. You can choose from ‘Third Party to ‘Fully Comprehensive’ cover, which will include public liability and driver protection cover. If your vehicle is registered in the UK you will need to contact your local Préfecture who will advise you of the process to follow to change your registration and number plates to the French equivalent. The simplicity of this process can vary depending on the make, model, age and country of origin of your vehicle. When your vehicle is still registered on UK number plates a French insurer will normally give you a grace period to get yourself registered correctly in France. Speak to your insurer about this as soon as you can to be sure of the terms of cover, in order that cover does not abruptly come to an end, leaving your vehicle uninsured. You may wish to leave a vehicle at your French residence, even if you are only there during holidays. Do not be mistaken in thinking insurance is not needed on your vehicle when it’s locked away in the garage during your absence. If you are planning on doing this, it is possible to opt for a minimum level of insurance that includes fire and theft during your absence .You can then increase cover to Fully Comprehensive when in France and driving your vehicle regularly. Other vehicles such as boats, ride- on lawnmowers and scooters also require their own cover if kept at your French residence. Think about asking for a quote when you are insuring your main belongings, otherwise in the event of burglary, or fire these items will not be covered. Legal Protection insurance is available to French residents. Access to a team of French legal experts allows you to obtain advice and assistance for private, consumer and labour related disputes. This insurance can be useful and reassuring when unfamiliar with your rights, as many of us are when living in a foreign country. Generally, the cover is inexpensive and often proposed alongside your Home and Contents insurance. Whilst this policy can also in some cases be available to non-residents, it applies strictly to litigation in France. Several insurance companies provide Home protection systems that include video cameras as well as basic alarms. Nowadays systems can also allow you to monitor your property when away from home via a link to your mobile phone. Whether your residence is your main home or ‘chez- vous’ for only a few months of the year, this is an ideal solution to guarantee security and peace of mind. Holidaying in France/Non-resident – Always carry your EHIC card with you as this will cover you for any treatment you may need whilst over for up to 90 consecutive days. Resident in France – If you are registered with the French Social Security system your medical costs will be covered up to a certain percentage. You can then choose to take out a Top-Up health insurance to cover medical costs and treatment that are not covered by the French Social Security system. If you are employed your employer should provide you with a certain level of cover which for an extra cost can also cover your immediate family. You can increase this level of cover via a separate Top-Up cover. 100% Private cover is health insurance for those who may not be entitled to the French Social Security. It’s often available by speaking to your bank or searching via the Internet. Whatever your situation it is wise to prepare your health cover by speaking to your local Caisse Primaire d’Assurance Maladie (CPAM) your French bank and/or French Insurer prior to travelling or making a permanent move. Not obligatory but well worth it! School Insurance – This type of insurance can be part of your Home and Contents insurance or taken out as a separate policy. This covers your children for Public liability whilst at school. An upgrade to Personal Injury cover also provides cover for your children for extra-curricular activities, everyday accidents in and out of school as well as theft of your children’s property such as musical instruments, book bags etc. Personal Injury cover can be taken out for families and adults as well as children and provides cover for accidents such as falling off a ladder when painting or slipping down your steps. The consequences of everyday accidents can be costly therefore this cover gives you peace of mind should something happen to you or your loved ones. Pet insurance – when moving to France you may have a dog or cat to bring along with you. Vets bills can be expensive especially if your pet is ill or involved in an accident. Pet insurance comes in various packages suited to your budget. 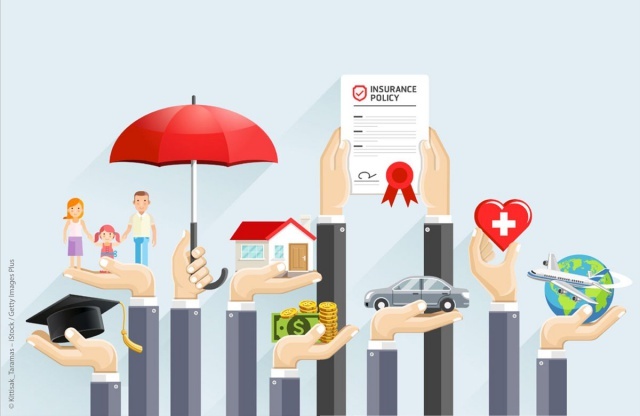 What’s different about French Insurance? The renewal process is normally automatic from year to year. This is unless you have informed your insurer in writing by registered letter within a certain notice period of your wish to cancel the cover at renewal date. For certain policies cancellation has been made easier in recent years following the implementation of the ‘Hamon law’, allowing cancellation of a policy with 30 days notice as long as you can prove you have taken out insurance elsewhere. This law does not apply if you have sold your property of course! This law does not apply to all insurances so be careful. Non–payment of your premium is a no-no in France, therefore set up your insurance to be taken monthly from your account or pay the premium in one go. Cancellation of a policy for non-payment could result in no other company wishing to insure you thereafter. It is important to remember that communication between you and your insurer must be easy from the outset and from wherever you may be. Understanding what is being said and explaining what you need is vital. You do not want to under-insure your belongings only to find out in the event of a claim you are not covered correctly. Ask questions and find out if there are major differences from the types of insurances you are used to.